Paloma España is both a practising English Solicitor and a practising Spanish Lawyer (Abogado). Admitted initially as a Spanish abogado (lawyer/solicitor) in Madrid (Miembro del Ilustre Colegio de Abogados de Madrid) Paloma spent a number of years practising overseas before returning to Spain and relocating to Malaga and being admitted to the Ilustre Colegio de Abogados de Malaga. Paloma, fluent in English and also a practising solicitor of England & Wales, clearly explains to clients differences between UK/Irish law and Spanish law and ensures clients are kept informed at every stage as the matter progresses. Paloma holds a Master’s certificate form the Universidad Internancional de Andalucia in Family and Succession law (Titulo de Master Propio en Derecho de Familia y Sucesiones) advising on international matters such as divorces, child abduction, special guardianship orders, inheritance etc. 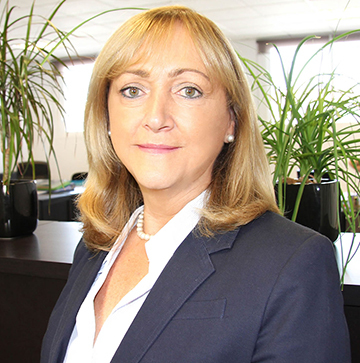 Paloma is regularly instructed by UK/Irish solicitors and is independently regarded as an expert on multi-jurisdictional matters and regularly publishes articles on areas of Spanish Law relevant to foreign domiciled individuals.